The top aspect of the framework has then been additional embellished with lovely piebald AD stones. 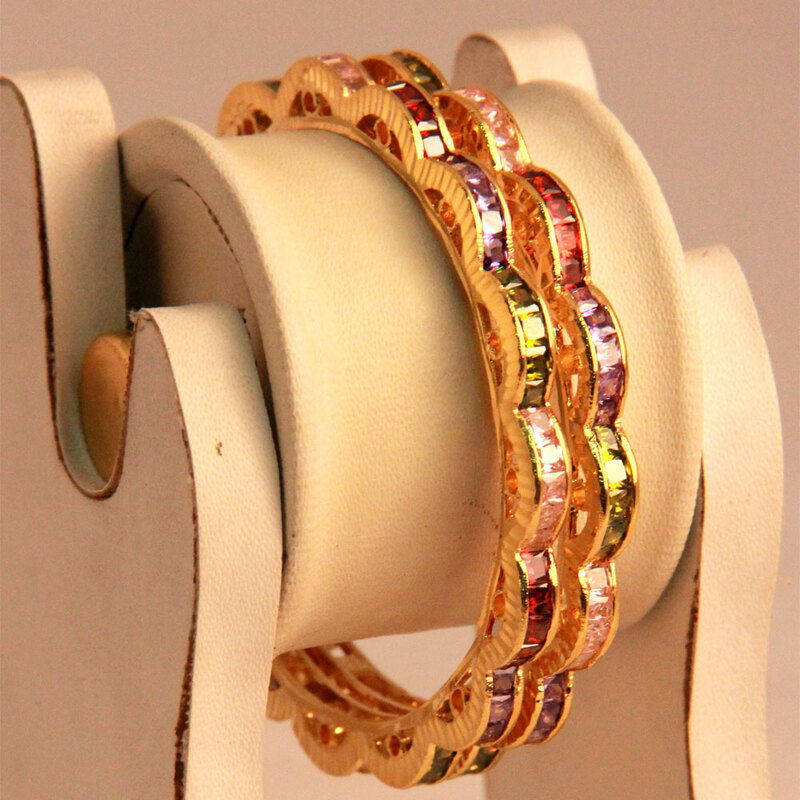 The simple design of this pair of bangles has been given a beautiful twist with the wavy framework created form the gold plated brass metal Read More..which is also forms the base of the bangles. The top side of the framework has then been further decorated with beautiful multicoloured AD stones. Show Less..